Founded in 1979, Feedmark has remained in the same ownership as a company of professional and experienced people who specialise in equine care and nutrition. Our innovative approach has ensured a continued position at the forefront of equine science – we have led the way in improving the health and well-being of millions of horses and ponies worldwide. Now, four decades on, we continue to invest heavily in research and development and, with over 30 horses in our own care, Feedmark nutritionists are always testing new ideas as well as improvements to existing formulations. Feedmark prides itself on providing high quality products that work but we also take our responsibility to our customers and the planet very seriously, so we choose where possible to provide sustainable solutions to packaging and other resource selection. KNOWLEDGE – nothing beats experience and our knowledge base is second to none! We have 150,000 customers around the world looking after 500,000 horses We also care for over 30 horses on our own yard so there isn’t much we haven’t seen. We offer free 7 day a week advice so if you cannot find an answer please get in touch by chat, email or phone – we will help! INNOVATION – we are at the forefront of the latest equine science and many of the now standard nutraceuticals found in feed rooms started with us and we continue to push the science boundaries with yet more exciting new products launching every year. Our unique CPI policy (Continuous Product Improvement) ensures we are constantly updating our formulations to provide the latest beneficial ingredients based on our experience, research and trials. QUALITY – Our first quality assurance scheme was BS5750 this was followed by the International Standard 9001. We were the first equine nutrition company to become UFAS and BETA NOPS accredited. We have also won endless awards and prizes over the last four decades, but our biggest mantra is we only sell products that work using ingredients from trusted sources with complete traceability. VALUE – Feedmark has an unrivalled ability to provide amazing value without compromising quality or service with customers enjoying offers, discounts, free products and much more - we promise you cannot buy better. We are very pleased to be fund raising for the world leading Animal Health Trust, a charity that exists to fight disease and injury in animals. Thanks to its pioneering veterinary and scientific work horses, dogs and cats are able to live healthier, happier lives. The charity could not continue its vital work without the generosity of supporters such as Feedmark and their customers. We are also proud to be the official supplements of Badminton Horse Trials and to support this amazing equine spectacle every year. We also attend several other major equine shows where we are pleased to meet our customers face to face and discuss their horses care and well-being in depth. Highly regarded by the scientific community, Feedmark nutritionists are members of the Nutrition Society - one of the largest learned societies for nutrition in the world. It was established in 1941 and is dedicated to delivering its mission of advancing the scientific study of nutrition and its application to the maintenance of human and animal health. 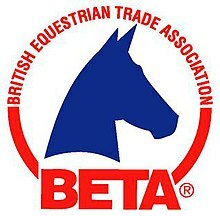 We are also members of the British Equestrian Trade Association and have been for many, many years. In fact BETA was formed in the same year as Feedmark and we have been together ever since. UFAS is based on HACCP principles, a system originally pioneered by space agency NASA, but now forming the bedrock of EU Food and Feed legislation. The scheme is audited and certified by an independent certification body, in accordance with the internationally recognised standard EN45011 (also known as ISO Guide 65). This means that the certification body is itself independently assessed every year to ensure that the standard is implemented and administered consistently and fairly. Partly as a result of this independence of inspection, local authorities now include participation in UFAS in their risk assessments of feed businesses.